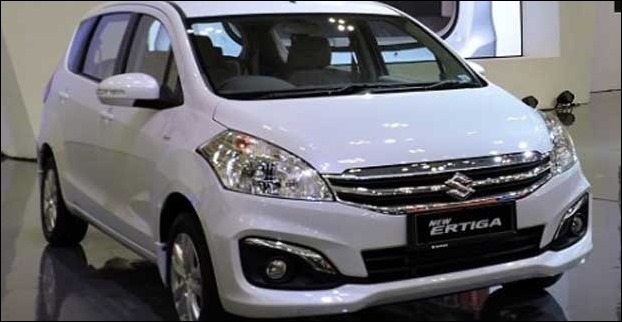 The Ertiga is the first premium Multi Purpose Vehicle (MPV) from the country’s leading carmaker Maruti Suzuki. The Maruti Suzuki Ertiga is a seven seater car which is available in 12 versions. It has 6 Petrol cars, 5 Diesel cars and 1 CNG car. The ex showroom price of the Maruti Suzuki Ertiga ranges from Rs 6.00 Lakh to Rs 9.28 Lakh. The Maruti Suzuki Ertiga competes with the Chevrolet Enjoy, Mahindra Xylo, Renault Lodgy, Nissan Evalia, Honda Mobilio and Toyota Innova. The Maruti Suzuki Ertiga comes with a choice of petrol and diesel engine options. The 1.4-litre, four cylinders K-series petrol engine has a displacement capacity of 1373 cc and delivers 93.7 bhp of power at 6000 rpm with a maximum torque of 130 Nm at 4000 rpm. On the other hand, the 1.3-litre, 1248 cc diesel variants of the Maruti Suzuki Ertiga are mated to the SHVS (Smart Hybrid Vehicle by Suzuki) technology and churns out 90 bhp of power at 4000 rpm and and 200 Nm of maximum torque at 1750 rpm. 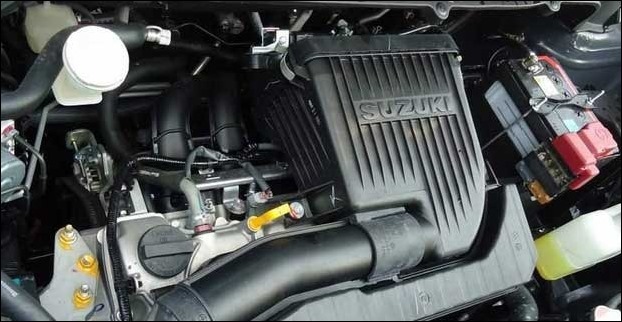 Both these engines are combined with a five speed manual transmission although the VXi petrol variant of the Maruti Suzuki Ertiga is also available in four-speed automatic transmission. The ARAI fuel efficiency of the petrol variant is 14 kmpl whereas the diesel powered Ertiga gives a mileage of 24.52 Kmpl. Besides, the automatic variant returns a maximum mileage of around 17.03 kms in a litre. Besides, the Maruti Suzuki Ertiga comes with a fuel tank capacity of 45 litres. The acceleration of the Maruti Suzuki Ertiga is decent. The petrol versions accelerate from 0 kmph to 100 Kmph mark in about 14 seconds with a top speed of 155 Kmph while the diesel versions accelerate from 0 kmph to 100 Kmph mark in about 15.5 seconds with a top speed of 165 Kmph. The exterior of the Maruti Suzuki Ertiga comprises of swept back headlamps, aerodynamic styling, smart side view mirrors, classy tail lamps and sporty bumpers. The bumper comes with two large recesses for the fog lamps with chrome surrounds. 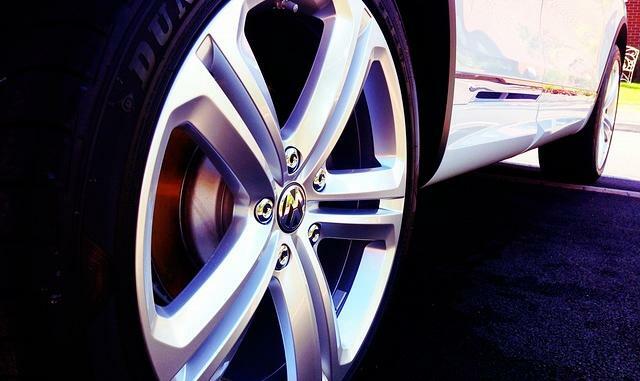 Besides, the 5-spoke 15-inch alloy wheels makes the car robust and aggressive. The Maruti Suzuki Ertiga has about 4265 mm length, 1695 mm width and 1685 mm height of dimensions along with a pretty long wheelbase of 2740 mm and, at the same time, it has a large ground clearance of 185 mm. Moreover, the car has a seating capacity of 7 passengers. The Maruti Suzuki Ertiga is available in an array of seven colours- Firebrick Red, Serene Blue, Ecru Beige, Superior White, Granite Grey, Silky Silver and Dusky Brown. 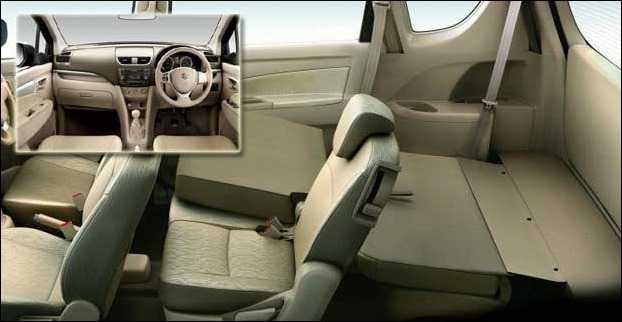 The interior of the Maruti Suzuki Ertiga is luxurious and spacious. The car comes equipped with a number of features like keyless entry, push start and stop button, glove box, folding assistant grip, front door trim pocket, passenger side vanity mirror, sun visors, remote fuel opener, ticket holder and electrical foldable ORVMs. In addition, the top end variant of the Maruti Suzuki Ertiga gets the company’s SmartPlay infotainment system with 7-inch touch screen while the rest of the variants get an audio system with CD, Bluetooth, USB and Aux-in connectivity. The Maruti Suzuki Ertiga comes with a boot space of 135 litres with all the seats folded. The middle row of the car slides and offers more space for boot or legroom and, at the same time, the third row of the car folds flat and enhances the luggage carrying capacity. The performance of the Maruti Suzuki Ertiga is good. The ride is also decent. On the safety front, the braking system of the car gets ventilated disc brakes on the front and drum brakes at the rear axle. Other safety features of the Maruti Suzuki Ertiga include ABS (Anti-lock Braking System) with EBD (Electronic Brakeforce Distribution), SRS (Supplementary Restraint System) dual front seat airbags, seat belt pre-tensioners with force limiters, driver side seat belt reminder with buzzer, security alarm, day night inside mirror and front fog lamps. In addition to these, the car also includes central locking, high mount stop lamp, a rear wiper and a washer system with defogger, sporty roof spoiler and a turn indicator for extra safety. The Maruti Suzuki Ertiga is endowed with lots of comfort functions. Besides, the car has spacious interiors with comfortable seating arrangement. And, the diesel engine of the car comes with SHVS technology that is also a major advantage. 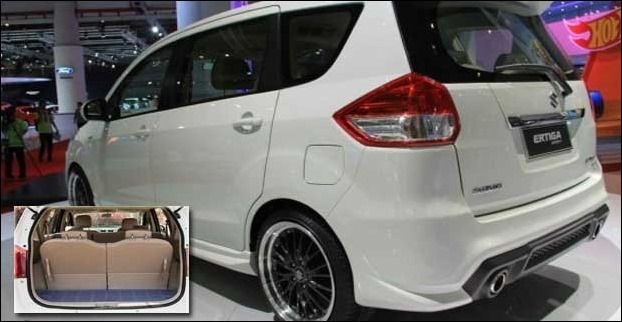 External look of the Maruti Suzuki Ertiga is not very impressive and it could have been better. Fuel economy is also not very impressive. In addition, the third row space is not good and it does not have even head rests. The Maruti Suzuki Ertiga is a spacious and comfortable MPV and at the same time it is available with CNG, petrol and diesel engine options. Since, the Maruti Suzuki Ertiga is a seven seater car. And, the car also offers great space for luggage. Hence, it is suitable for large families.